India, however, still remains optimistic about its future as 73 per cent respondents said they feel the country is going on the right track as against the global average where a majority (54%) of the people feel their country is headed in a wrong direction. 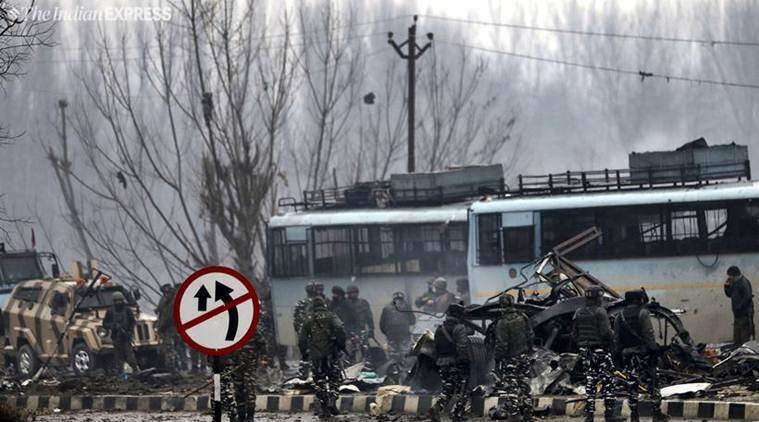 50 CRPF soldiers were killed when a bullet-riddled SUV crammed into a CRPF convoy in Jammu and Kashmir’s Pulwama. Indians are more concerned about terrorism than unemployment and political corruption, a global survey found. In the aftermath of the Pulwama terror attack in Kashmir in February this year, almost 45 per cent of the respondents to the survey said they were most afraid of terrorism in the country. According to The Ipsos What Worries the World Global Survey, while almost half the respondents said they feared terrorism in the country, 44 per cent also said they were worried about unemployment, and 42 per cent mentioned political corruption. A significant number of Indians are also expressed concern over Crime and Violence (33 per cent) and Poverty and Social Inequality (29 per cent). In contrast, terrorism does not even feature in the top five global concerns, according to the survey. Thirty-four per cent of the global population worries about political corruption and social inequality, followed by Unemployment (33%), Crime & Violence (31%) and Healthcare (24%). Meanwhile, back home, healthcare does not even feature in the list of issues. India, however, still remains optimistic about its future as 73 per cent respondents said they feel the country is going on the right track as against the global average where a majority (54%) of the people feel their country is headed in a wrong direction. Out of 28 countries which participated in the survey, 22 of them weren’t optimistic about the future. At 94%, China inspires the most confidence about its national direction, with more than 9 in 10 Chinese citizens believing thier country is moving in the right direction. Saudi Arabia is in second place (84%), followed by India (73%) and Malaysia (57%), the survey revealed.